An initiative that has helped small businesses across Canada expand their horizons by exporting their products and services to new international markets is itself expanding. 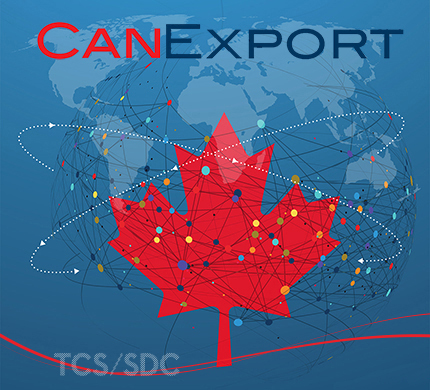 CanExport, a funding program administered by the Canadian Trade Commissioner Service (TCS) that gives companies incentives to develop and diversify their sales abroad, has already helped more than 1,000 firms compete more effectively in the global economy. It will now be enhanced significantly and available to an even wider range of small and medium-sized enterprises (SMEs). CanExport began in 2016 as a $50-million program and it quickly took off, Pham says. An additional $40 million was committed over the summer and more funds were announced in the Fall Economic Statement. The extra funding will make it even easier for businesses to obtain support for their expanding export needs. The 1,000-plus Canadian SMEs that have so far used CanExport have carried out more than 1,200 approved projects that have resulted in more than $375 million in new exports. More than 42 percent of program participants report that they exported to the target market for which they received support within a year of completing their project, Pham says. Companies must start with a comprehensive export business case, he says. CanExport shares the cost of eligible expenses for initiatives to develop new markets, such as participating in trade fairs or doing market research. The program is open to all markets, except for activities in countries where sanctions could apply. To be eligible, a company must be for-profit, incorporated or a limited partnership, and it must not have significantly exported to the target market within the past 24 months. The non-repayable contributions are determined on a cost-sharing basis and can represent up to 50 percent of eligible expenses. These can include travel costs, event registration, translation and consultant fees. The payments can range from $10,000 to $50,000, with maximum overall funding per applicant of $100,000 per year. The remainder of the funds can come from other public sources, but the total of all government assistance cannot exceed 50 percent of the expenses for a project. Pham says that CanExport’s rules and guidelines are evolving in response to feedback from users and groups such as the Canadian Chamber of Commerce. For example, the original program applied to SMEs with from one to 250 full-time employees, while the new terms will include companies with zero to 500 full-time employees. The original program applied to companies with a range of annual revenues in Canada from $200,000 to $50-million. That range will change to between $100,000 and $100-million. CanExport’s coverage has also been widened. Large emerging markets such as China, India and Brazil were originally considered one single market under the program, but now SMEs active in one region of these countries can apply for support to target another region there, Pham says. And eligible SMEs can get CanExport assistance through “grants” given up front before starting an activity (with a maximum grant amount of $30,000), while others will receive the funds as “contributions” (with a maximum contribution amount of $50,000,) and will be quickly reimbursed after the fact. Pham says that CanExport is intended to build stronger and more competitive Canadian capacity to effectively compete in the global economy, by connecting SMEs with the tools and resources they need to succeed abroad. With its customers in the manufacturing sector increasingly moving overseas, Can-Technologies Inc. was thinking more and more about exporting its clean technology solutions, which help major industries manage their energy use and reduce their carbon emissions. The final key was the CanExport program, which “assisted us to accept more risk and become successful in this journey,” she says. China is a big country, so the company found some marketing companies that helped it do some research and find partners there. CanExport helped pay for travel costs, translation, posters, advertising and outreach, Derakhshanian says. Can-Technologies got a generous amount of money from the program and paid much more than that itself, she says, but she says the effort has been worth it. “In the end you end up spending more than you expected but it’s nice to have the funds from the government to get started,” she comments. For example, the company received $40,000 from CanExport for finding the right target market in China and that resulted in the signing of two contracts with the giant Jiangxi Fangda Iron & Steel Group, one worth $1.79 million at the company’s plant in Jiujiang province and one worth $1.34 million at its plant in Nanchang. With the U.S. market quite difficult and therefore off-limits for now, the company would like to find customers for its technology in other parts of China as well as in Germany and countries such as India, Thailand and Brazil. “They all need our solution,” Derakhshanian says. Can-Technologies hopes to get to such countries with the help of CanExport in the future. “Our decision to start exporting to China has been a smart one, selling our software-driven engineering solutions there and hiring professionals in Canada is the right move,” says Shahriar Varkiani the company’s CEO and president. Generating sales overseas is a major undertaking for a small firm with a product like kayaks, where you need to ship a large amount of them at a time in a container to be economical. Kayak Distribution Inc., a company in Saint-Hubert, Quebec, that manufactures kayaks under the Boreal and Riot brand names, used CanExport funding to target retailers in the United Kingdom, with good results. “We were really lucky with the program,” says Marc Pelland, president of the private company, which already exports to some 20 markets abroad, representing 70 percent of its sales. Pelland says it applied to CanExport to attend Paddle Expo, a major paddlesport trade show in Germany, to target UK retailers, as well as to conduct follow-up visits with potential customers around the UK. It received total funding of about $25,000 under the program. Following the trade show and trip, the company made a deal with a major UK retailer and sold $200,000 to $300,000 worth of its products in the country last year, with plans for up to $750,000 in UK sales by 2020. “I wasn’t expecting to have such a good return,” says Pelland, who credits the CanExport program with his success. He’d like to see the CanExport program allow companies to do exploratory missions to a series of countries in a region like Latin America, rather than targeting individual markets one at a time. Pelland says that CanExport support can be helpful to better understand international markets and to meet potential partners, collaborators and even the competition out there. “It’s about knowing the business and how it works,” he says, noting that it’s critical, albeit costly, to be physically present in potential markets aboard.